Es wurden 8 Knowledgebase Artikel zwischen dem 07.May.2015 und 08.May.2015 veröffentlicht. After Mirage operations including base layer or application layer updates, some of the hardware devices may have been removed. After a Mirage restore, rebase or provisioning operation takes place, the Static IP settings are not preserved on the end point, and the end point reverts back to DHCP. To perform the update, install the updated JRE RPM on the Serengeti Management Server virtual machine and Hadoop Template virtual machine. To enable debug logging for the vSphere Web Client service:Note: Take a backup of the serviceability.xml file before modifying it. 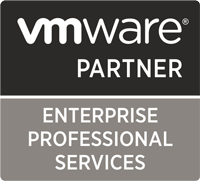 Stop the vSphere Web Client service. Establishing a Linked Mode configuration between vCenter Server instances is not feasible due to the large number of ports that need to be opened between them.